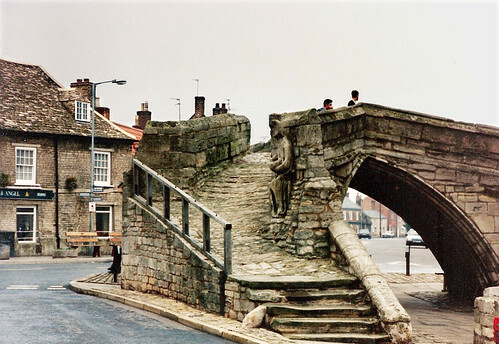 Trinity Bridge, Crowland, England. Built 1360. This unusual 3-way bridge now sits high & dry in the center of Crowland.